Guildford Dudley was born to parents John Charles and Harriett Anna Dudley in Sydney in 1879. He married Mary Ellen Pinkerton in Sydney in 1902 and they had 10 children together, two of whom did not survive infancy. The couple lived at 51 Hugo Street, Redfern and then 74 Hugo Street before eventually moving to 2 Gordon Street, Lewisham in the 1940s. He died on 16 October 1951 at Lewisham Hospital and was buried at Rookwood Cemetery two days later. Dudley was a mattress maker and wire worker and was a member of the Darlington Political Labor League. As a youth, Dudley had various run-ins with the law. In November 1892 aged 13, he was charged at Newtown Police Court with malicious damage. He appeared at Newtown Police Court again on 5 August 1893 ‘on charge of having three pigeons in his possession supposed to have been stolen’. On 25 November 1895 he appeared at Newtown Police Court, along with one George Husband, on the charge of ‘riotous behaviour’ conducted over the previous weekend. According to The Sydney Morning Herald, the pair assaulted a young man named Ernest Perry, and stole the horse and buggy he had been riding on King Street, Newtown. The pair then drove off where they were later discovered by a police constable to be ‘galloping the horse along the Cook’s River-road, St Peters…shouting, yelling, and pulling each other about’. For riotous behaviour, they were fined two pounds, and sentenced to one month in gaol, and for assault they were fined one pound. For illegally using the horse and buggy, property of William Morrison of Newtown they were sent to Parramatta Gaol for two months, with hard labour. Guildford Dudley was a Justice of the Peace. 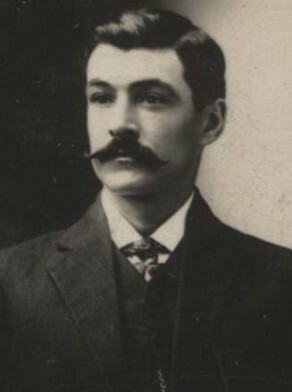 Dudley was elected an alderman of Redfern Council on 3 February 1908, serving until 1919. In 1915, Alderman Dudley moved that carters be given a pay rise due the increase in price of horse feed. There were other instances, however, where Dudley was involved in the reported antics of Redfern Council. In 1911, he clashed with Alderman Albert Clarke Isaacs, muttering under his breath to which Isaacs replied with ‘Did you say you would flatten me? Why, I’ll pull your nose!’ Dudley responded with ‘I would like to see you have a try’.